Updated May 9, 2017 – The $9.8 billion budget that Arizona Legislators passed last week adjusts per-pupil base level funding and transportation funding by 1.3 percent for inflation and provides additional compensation for teachers, but continues cuts to capital funding for items like buildings, buses, books and technology and offers no financial assistance to ease the budget pressures for districts with declining enrollment, according to an Arizona School Boards Association analysis. Since 2009, Arizona schools have lost $2.4 billion in capital funding due to legislators’ budget cuts, Essigs said. “It’s disappointing to school districts that with these large cuts to capital funding remaining, that they (legislators) look to start up and expand vouchers to schools, when it would be better, in the minds of many school districts, to solve the ongoing problems we have with how school districts and charters are funded before you expand to other areas,” Essigs said. The budget provides a 1.06 percent in additional compensation for public school K-12 teachers in fiscal year 2018 and an additional 1.06 percent in fiscal 2019, but this appropriation, which will not be adjusted for inflation, is separate from per-pupil base level funding and is based on a districts’ total payroll for teachers in the current fiscal year. The budget appropriates $37.6 million to the results-based funding fund and distribute $225 per student to schools with less than 60 percent of students receiving free-and reduced-price lunch who are in the top 10 percent of AzMERIT scores statewide. In school year 2018-19, schools would receive the additional per pupil funding if they have an A-rating based on the new A-F school rating system. Theplan to provide more funds for high-performing schools would benefit charter schools that graduate on average less than 100 students a year, not district schools which graduate on average more than three times as many students, and also reward middle- and higher-income students more than low-income ones. The budget proposal would appropriate $64.9 million to the School Finance Board for new school facilities. It would also provide $16.9 million in ongoing and $17.2 million in additional one-time funding for building renewal grants. Along with $38 million in one- time funding for new school facilities approved between March 2, 2016 and March 1, 2017. The budget appropriates $2.6 million in one-time funding for rural schools, which will be distributed based on enrollment in counties with a population of less than 500,000 and local education agencies that primarily serve homeless or special education students regardless of what county they’re in. Another provision allows Duncan Unified School District to exceed its budget for critical infrastructure repair without first applying to the School Finance Board for funding from the emergency deficiencies correction fund. Duncan Unified is in a small rural area about four hours east of Phoenix on the New Mexico border, and the K-8 school serves 265 children, said Eldon Merrell, superintendent of the district. Merrell said that the district has several critical infrastructure needs, and some have been submitted to the School Facilities Board, some have not gone through yet and others have not been submitted. 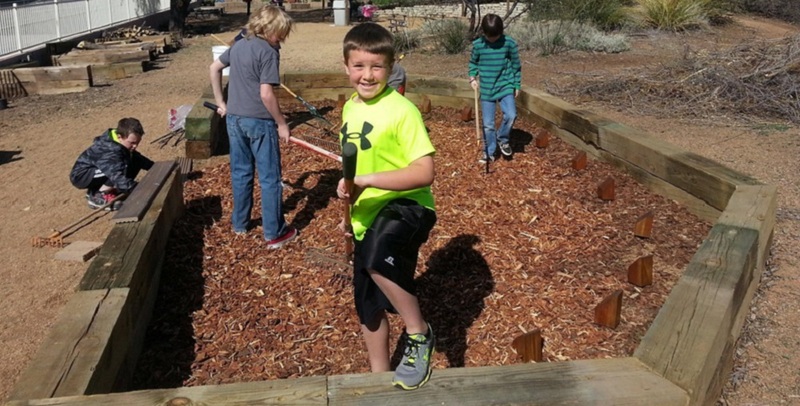 The septic system at the elementary school is “a self-contained system that is 30 plus years old. It’s on it’s last leg,” Merrell said. “We had an earthquake a couple of years ago here in Duncan. Since then, it’s been leaking and messing up and we just have it duct taped together. We currently don’t have enough money in our budget to fix that,” Merrell said. The district has some roofing issues that are going out to bid later this month, and a company will look at the district’s fire alarm/intercom/bell system installed in the early 1980s later this week, Merrell said. The budget would appropriate $100,000 for the Jobs for Arizona Graduates program as well as $200,000 in one-time funding to the Governor’s Office for a computer science initiative and $250,000 for a public-private school leadership training program. 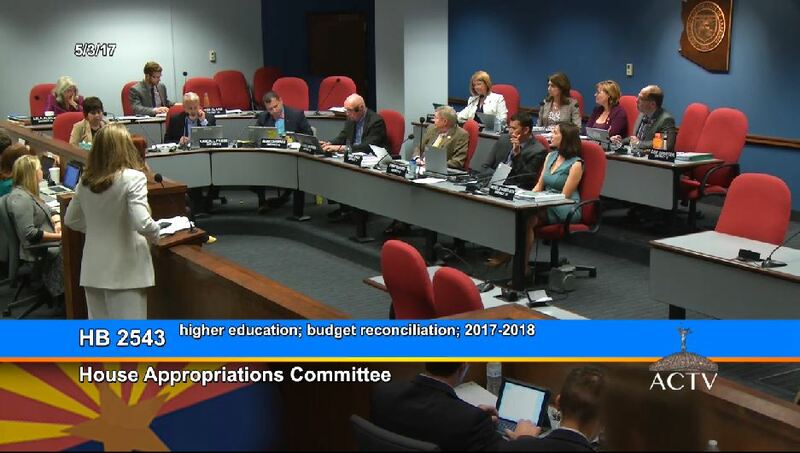 The budget also directs the universities to create a teacher academy to provide tuition-free bachelor degrees for students who commit to become teachers in Arizona. The budget continues to fund large joint technical education districts at 95.5 percent of the amount they would have otherwise received and appropriates $1 million for JTED completion grants. The budget provides $8 million in fiscal year 2018 and $12 million in FY 2019 to the Early Literacy Grant Program to provide three-year grants to schools with at least 90 percent free- and reduced-price lunch to improve reading skills, literacy and proficiency of K-3 students, which could be used for full-day kindergarten or other K-3 literacy programs. 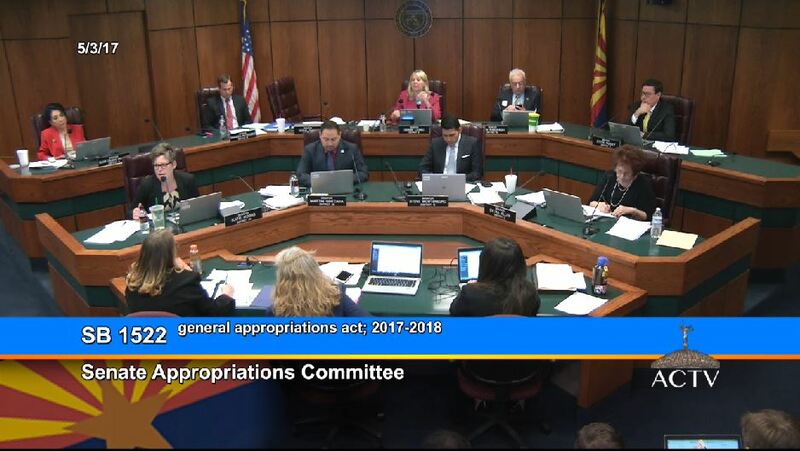 The budget appropriates $7.3 million in funding for the Arizona Department of Education’s student data system, $400,000 from the Empowerment Scholarship Fund to ADE for administration of the Empowerment Scholarship Accounts, $100,000 in one-time funding for a statewide geographic literacy initiative, $3.6 million to the school safety program that includes $100,000 for the pilot program on school emergency readiness, $5 million to the college credit by examination incentive program and modifies its reporting requirements. The budget also increases the budget limit for Cave Creek Unified School District by $1.5 million in fiscal 2018. The Arizona Legislature passed a $9.8 billion budget early Friday that provides 1.06 percent in additional compensation for public school K-12 teachers in fiscal year 2018 and an additional 1.06 percent in fiscal 2019, a $100 income tax cut for Arizona residents and $1 billion in extra bonding for Arizona’s public universities, according to an Arizona School Boards Association analysis. Republicans in the Senate and House made significant changes to the budget in the past three days to get enough support to pass the budget at 3:55 a.m. Friday, and Ducey is expected to sign the 11 budget bills on Monday, according to an article in The Arizona Republic. House Speaker J.D. Mesnard made enough deals with hesitant Republicans to get the necessary 31 votes in his 35-member caucus to adopt the budget, but none of the Democrats in the 60-member House supported the package, according to an article by Capitol Media Services. The budget negotiated between Ducey’s office and Republican leaders was in trouble for most of the week because of the university bonding plan, and early Thursday Senate President Steve Yarbrough said he thought he’d need Democrats to win passage, according to an Associated Press article. Sen. Steve Farley, D-Tucson, said Republican leaders made a costly deal to ensure passage of the university bonding package: Reducing the amount that Arizona residents have to declare when computing state income taxes by $100 will decrease state revenues by $10 million, according to an article by Capitol Media Services. But for just $1.4 million the legislature could have fully restored a state welfare program, one of the Democrats’ priorities, Farley said. “This budget invests in Arizona schools and teachers, protects our communities, and expands opportunities for our most vulnerable citizens.,” Ducey said in an email sent out this morning. 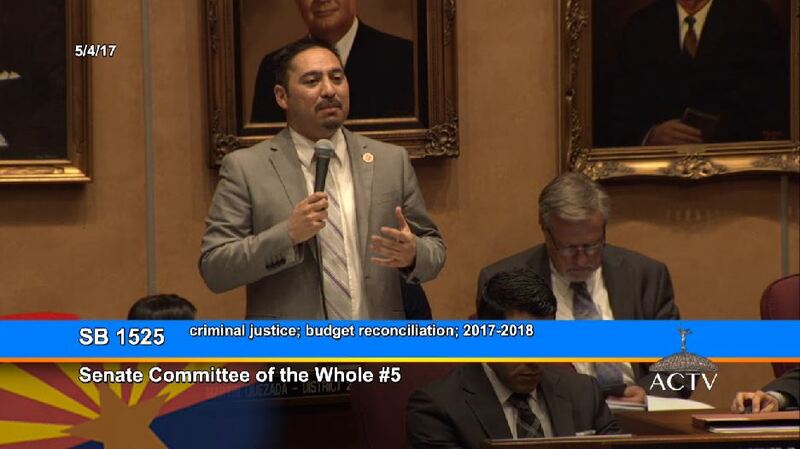 Both the House and Senate of the Arizona Legislature extended the session through next week as they continue to discuss and work on the $9.8 billion state budget proposal. Members heard extensive comments Wednesday during public hearings on the 11 bills that make up the tentative budget. 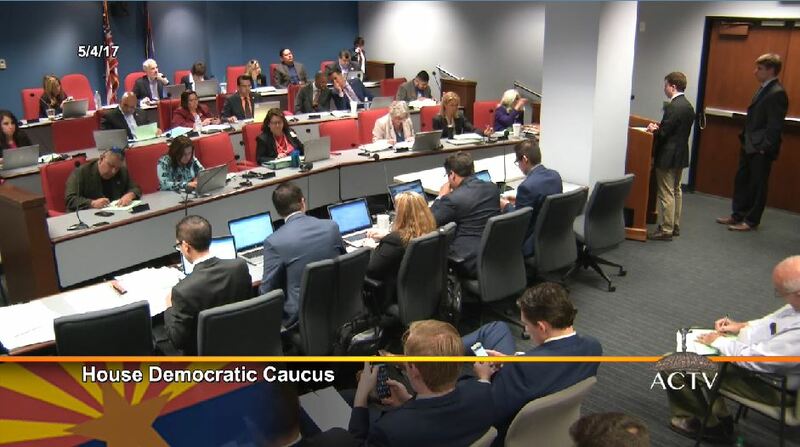 This morning, the House Republican Caucus and House Democratic Caucus met to go over the bills that passed 8-5 yesterday along party lines with Republicans’ support and Democrats’ opposition in the House appropriations committee. The Senate Republican and Democratic Caucus met as well. House floor session. 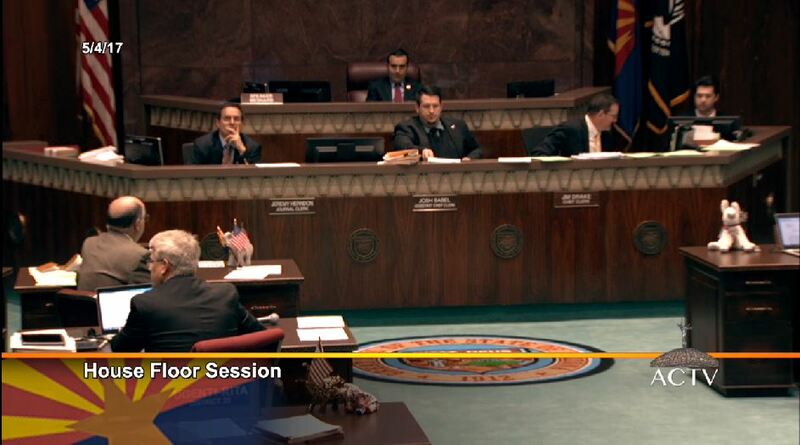 Courtesy Arizona Capitol Television. The outcome of the $1 billion bonding plan for Arizona universities remains uncertain. 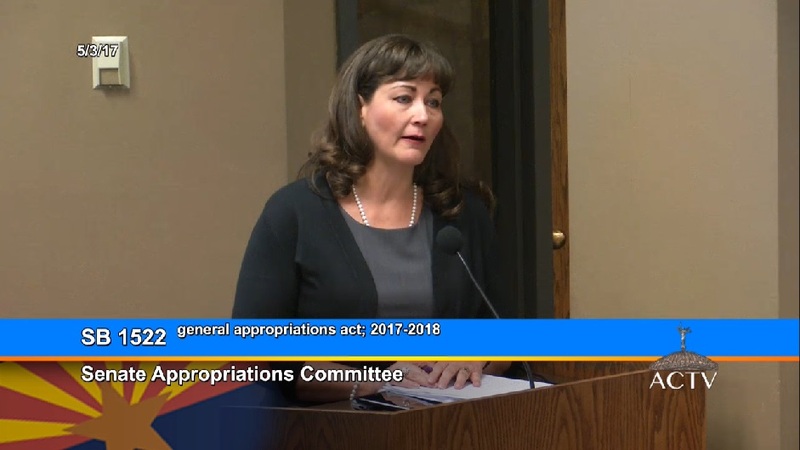 Democrats in the House and Senate appropriations committees opposed the bonding plan yesterday, saying they would prefer to see four percent raises for K-12 teachers next year instead of the two percent raises the budget proposes over two years. 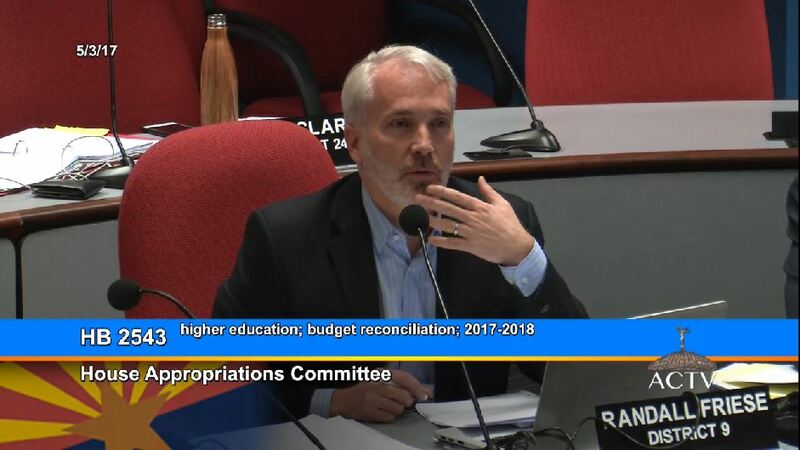 Some Democrats said their support for the university bonding bill would depend on the budget providing more money for public schools, according to an article in The Arizona Republic. A floor amendment from Senate President Steve Yarbrough, R-Dist. 17, was added to Senate Bill 1524. Minority Whip Sen. Martin Quezada, D-Dist. 29, said the amendment to SB1525 by Senate Minority Whip Lupe Contreras, D-Dist. 19, makes a lot of sense. “This will allow judges to have some discretion when imposing fines on defendants,” and allow them to set a fine that they can pay, Quezada said. The amendment was voted down by Senate members. Senate President Pro-Tempore Debbie Lesko, R-Dist. 21, voiced opposition to an amendment by Assistant Minority Leader Steve Farley, D-Dist. 9, that would notify community members when a person who has been convicted of killing two children is released into their neighborhood. Rep. Ken Clark, D-Dist. 24, asked why House Speaker Pro Tempore Thomas Shope, T-Dist. 8, spoke to the sheriff of Pinal County about the amount of money he would be receiving from House Bill 2540, but did not communicate in any way with the sheriff of Maricopa County about the amount of money he would be losing for gang enforcement. Shope’s response was that he didn’t know the sheriff of Maricopa County and that it was part of a decision to maintain the structural balance the legislature thinks is necessary. The budget proposal would remove $1.6 million for a task force that deters criminal gang activity from Maricopa County Sheriff Paul Penzone’s budget, but would provide money for the same task forces in Pinal and Pima counties. Several Democrats questioned whether cutting the Gang and Immigration Intelligence Team Enforcement Mission funding from the state’s most populous county was politically motivated after the Democratic sheriff defeated a longtime Republican sheriff in November and new Republican sheriffs were elected in Pima County, according to an Associated Press story. Rep. Ray Martinez, D-Dist. 30, spoke about what the Gang and Immigration Intelligence Team Enforcement Mission does. HB2540 passed by a 35-24 vote and was conveyed to the senate. The House Ways and Means committee will meet as the House floor session recesses. The session began at 2:39 p.m. with senate members filing in after a recess. But both the House and the Senate extended the legislative session through Thursday, May 11, despite a number of members’ no votes. Rep. Kirsten Engel, D-Dist. 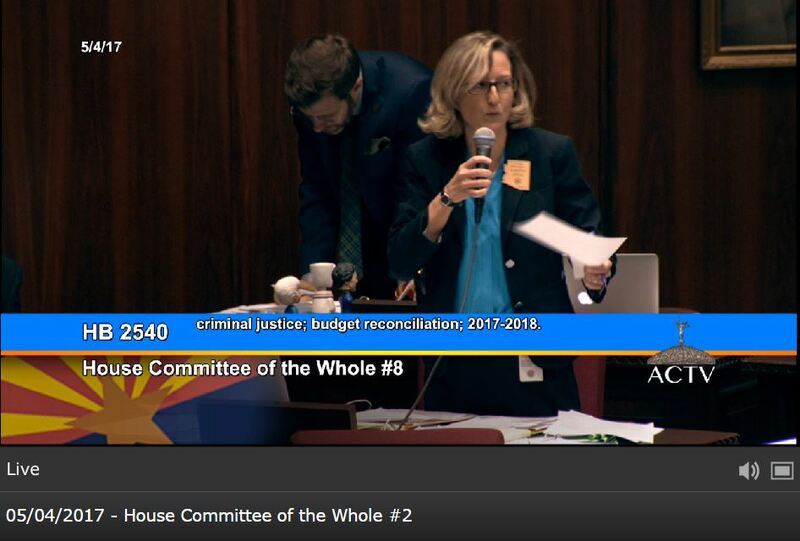 10, introduced an amendment to House Bill 2540 that would return to a more lenient earned credit ratio for inmates with a lower risk of recidivism saying it would serve as an incentive for inmates to enroll in programs that would help them succeed after release. “If you compare what we spend on an inmate in a given year, we are spending almost 20,000 more than we do to educate a student in K-12,” Engel said. “We spend about 10 percent of our state budget on corrections, and we have just spent weeks down here trying to find ways to give teachers a one percent raise and find ways to improve schools in our state and we pour millions and millions of dollars down the drain for the incarceration of nonviolent offenders,” Stringer said. 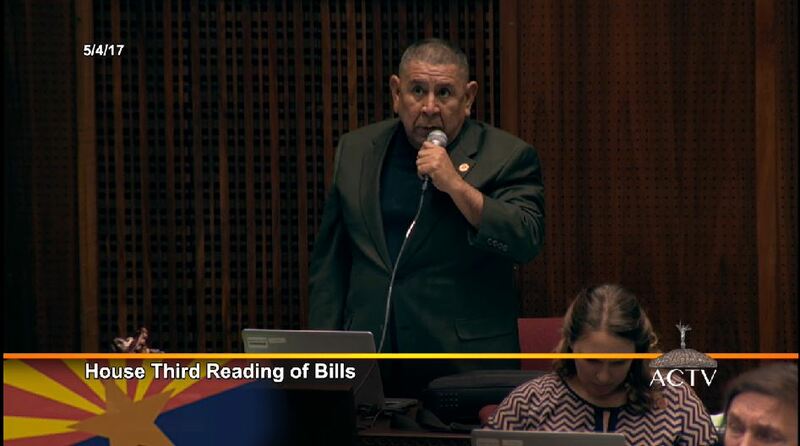 The House Floor session resumed at 2:15 p.m. with a tribute to Pete Garcia, former CEO of Chicanots Por La Causa, who passed away on May 3, 2017. 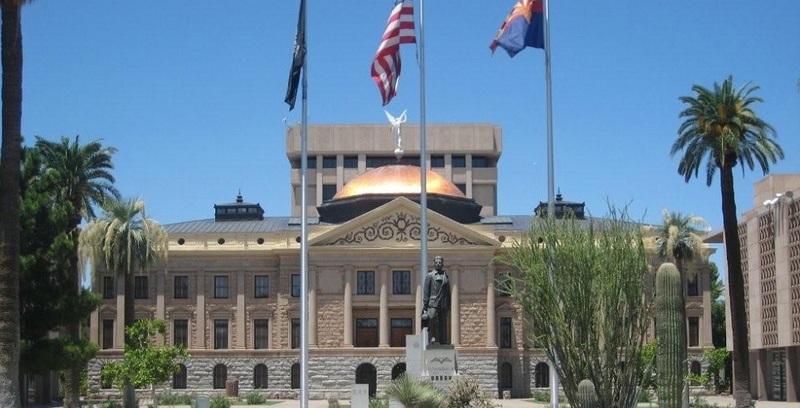 The Senate recessed for lunch and then was back for informal discussion of non-budget bills, according to an article in the The Arizona Republic. The amendment was voted down 32-24, bur SB 1038 was approved 57-0 with 3 not voting. The House is now recessed and legislators were asked to remain at the capitol and have their cell phones with them for the next session. Assistant Minority Leader Sen. Steve Farley, D-Dist. 9, said Democrats are ready to negotiate on the university bonding plan, and all they want are a four percent raise for teachers and a restoration of the Temporary Assistance for Needy Family funding assistance, according to an article in The Arizona Republic. After the caucus, representatives began the Committee of the Whole session. Rep. Ray D. Martinez, D-Dist. 30, expressed concern that there was no comprehensive program for helping schools that find high levels of lead in their water while discussing the $200,000 in building renewal School Finance Board grants funds that could be used for lead remediation consultant services. Rep. Athena Salman, D-Dist. 26, asked if the budget proposal included the additional funding that the Arizona Department of Education had asked for IT infrastructure, but was told that the proposal does not, it just maintains the funding that was provided in the past year. House speaker J.D. Mesnard, R-Dist. 17, postpones the floor session to 11 a.m. The Arizona Legislature is holding public hearings today and voting on the 11 bills that make up the proposed $9.8 billion state budget. Among the proposed budget’s major education components are $34 million for a two percent raise for K-12 public school teachers over the course of two years, and $27 million a year for 25 years for state universities to use for extra capital needs and increased bonding authority. Yesterday some Republicans opposed the university bonding proposal, which could delay passage, according to an Associated Press article. But Republican leaders found more support after adding a tax cut that would raise the personal exemption on the state’s income by $100 over the next two years, according to an article in The Arizona Republic. Arizona legislators and Gov. Doug Ducey have been negotiating the tentative budget agreement since the session began in January. If the budget proposal is approved it would take effect on July 1, 2017. ASU has 11 employees per each student, much less than a comparable instiuttion that has 50 employees per each student, Crow said. “We’re in the lower 5 percent of cost per graduate, while the University of California of Los Angeles in 92 percent,” Crow said. Crow also noted that ASU has had a 75 percent reduction in the cost of producing a degree. Assistant Minority Leader Rep. Randall Friese, D-Dist. 9, asked what other funding streams universities have. ASU has 15 revenue sources, including student tuition, grants, endowment revenue, auxiliary enterprises, intellectual properties, Crow said. 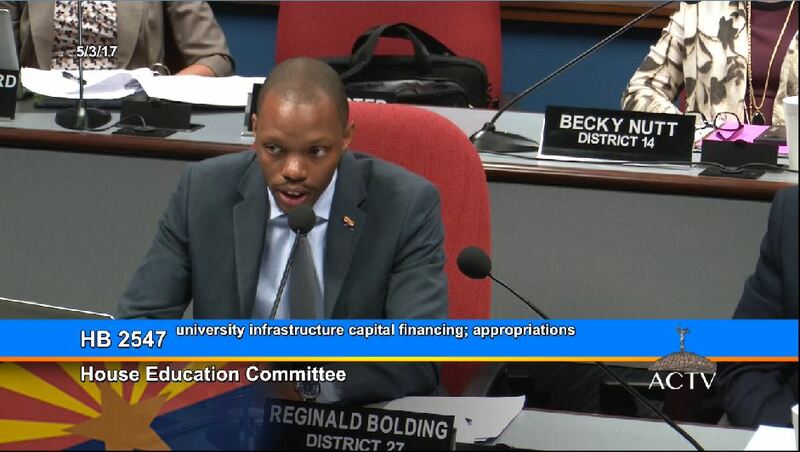 The House Education committee passed House Bill 2547 on university infrastructure and capital funding during its meeting. “We can’t afford to mothball our buildings, we need to make this investment,” Klein said. 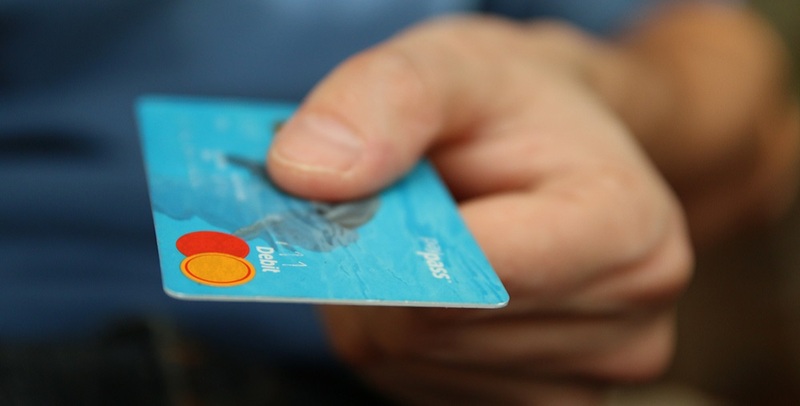 Klein noted in the first five years, the bill would help increase Arizona’s gross domestic product and personal income. The bill was passed on a vote of 8-5. Assistant Minority Leader Sen. Steve Farley, D-Dist. 9, urged legislators to support an amendment to Senate Bill 1522 that would give teachers a four percent salary raise. “You take the resources available and put it into the place where it will make the most difference and that is teachers,” Farley said. But the amendment was voted down. Naimark noted that 42 percent of teachers leave the profession within three years, according to the Arizona Department of Education. “We have to address the teacher shortage in a more meaningful way,” Naimark said. Litchfield Elementary Assistant Superintendent Dr. Heather Cruz said when you talk to parents and business people, that teacher pay is the Number One education issue in Arizona, with capital funding coming close behind. The A-F system is “a good system for determining what’s going on in schools, but it shouldn’t be used to determine who gets money,” Rickert said. Sen. Sylvia Allen, R-Dist 6, from Snowflake said she agreed with what Rickert said. Charles Tack with the Arizona Department of Education asked legislators to increase ADE funding by $800,000 as staffing needs increase to administer the Empowerment Scholarship Account program with the recent expansion. The House appropriations committee approved House Bills 2545, 2538, 2539, 2540, 2541, 2542, 2544 and 2546 then adjourned and will be in recess until 2:30 p.m. later today. The Senate Education Committee passed Senate Bill 1532 – the $1 billion university bonding bill – on a 3-2 vote with Senators Catherine Mirand, D-Dist. 27, and David Bradley, D-Dist. 10, reluctantly voting against it saying that wanted to see more resources given to K-12 education, according to an article in The Arizona Republic. Earlier during discussion, Litchfield Elementary Assistant Superintendent Dr. Heather Cruz asked legislators to reallocate the proposed $10 million for literacy and the $50 million for results based funding to teacher pay and district additional assistance. The proposal would adjust base level for transportation and charter additional assistance by 1.3 percent for inflation, would continue district additional assistance and charter school additional assistance suspensions for FY 2017-18 and continue the K-12 rollover of $930.7 million. It does not include a hold harmless provision for declining enrollment under current year funding of $31 million, according to an Arizona School Boards Association breakdown of the budget bills. The budget proposal would provide $8 million in fiscal year 2018 and $12 million in FY 2019 to the Early Literacy Grant Program to provide 3-year grants to schools with at least 90 percent free- and reduced-price lunch to improve reading skills, literacy and proficiency of K-3 students, which could be used for full-day kindergarten or other K-3 literacy programs. The proposed budget continues to fund large JTEDS at 95.5 percent of the amount they would have otherwise received and appropriates $1 million for JTED completion grants. The budget would provide $2.6 million in onetime funding for rural schools that would be distributed to district schools and charter schools with less than 500 students in K-8 or 9-12 that are in a county with a population of less than 500,000 or local education agencies that serve homeless or special education students who qualify no matter what county they live in. The budget proposal provides $34 million for teacher salary increases and another $34 million in FY2019. That would provide a 1 percent salary increase for teachers who taught at a district or charter school during the 2016-2017 school year and teach at that school in school year 2017-18. The budget proposal would appropriate $37.6 million to the results-based funding fund and distribute $225 per student to schools with less than 60 percent of students receiving free-and reduced-price lunch who are in the top 10 percent of AzMERIT scores statewide. In school year 2018-19, schools would receive the additional per pupil funding if they have an A-rating based on the new A-F school rating system. Schools with more than 60 percent of students receiving free-and reduced-price lunch who are in the top 10 percent of AzMERIT scores statewide would receive $400 per student. In school year 2018-19, schools would receive the additional per pupil funding if they have an A-rating based on the new A-F school rating system. 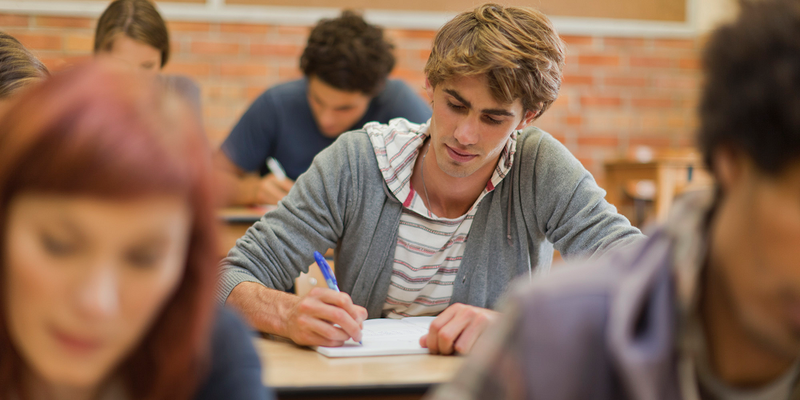 Alternative high schools with an A rating in 2014 would receive $400 per student count. The bill stipulates that the majority of this money be used for teacher salaries, recruitment and professional development. The budget proposal would appropriate $64.9 million to the School Finance Board for new school facilities, $16.9 million in ongoing and $17.2 million in additional one-time funding for building renewal grants, and $38 million in one- time funding for new school facilities approved between March 2, 2016 and March 1, 2017.